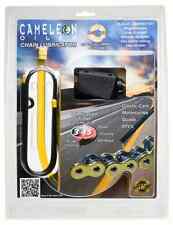 THE BENEFITS TO OWNING THE CAMELEON CHAIN OILER SYSTEMS. The Cameleon Oiler's are very simple to install. 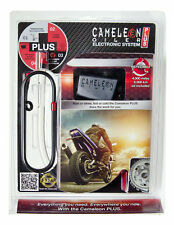 Both automatic Cameleon chain Oiler systems will turn on a few seconds after the vehicle starts. The electronic gravity system lubricates by short cycles giving your chain extended life, plus keeping the motorcycle cleaner than the manual oiling. 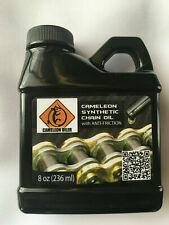 With the CCo-190 lubricant, the oiling is more efficient, smoother and much easier to control the oil spray than the competitors The Cameleon Chain Oilers are 5 stars electronic systems renowned by its owner's worldwide for the durability, simplicity, and cleaner with the Cameleon Electonic Oiler PLUS. With the Cameleon Oiler, it's easy to control the oiling depending on your usage. 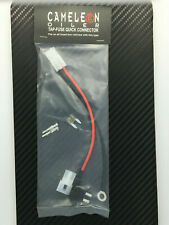 Joined to the Cameleon Tap Connector, the installation becomes so easy to do it yourself. 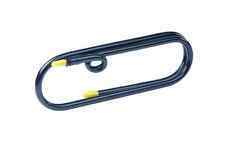 The Cameleon Tap Connector is made to fit all multiplex computer system vehicles produced today, without affecting the air/gas ratio.